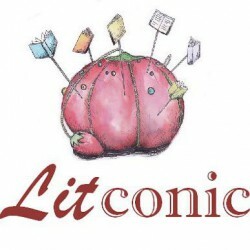 Thank you for joining us and welcome to Litconic! Follow us on Social Media for updates on our latest author interviews, published work, essays, and book reviews! And join us on our adventures on Instagram! We're not just writers and arts enthusiasts, we also like to travel! A bit more about us and our mission: We understand that although our readers may wish it otherwise, they may not have the time to squeeze in the reading of a hefty book of poetry or prose into their busy day. However, we have stumbled onto a solution. We're all about brevity. Literature + laconic = us! Eventually iconic? Maybe. And since we promised to keep it brief, the only question left is: Who are we?